The guest house is set in the middle of a vast garden with a swimming pool and enchanting view to the mountain and the palaces. We are on a slope that before us was a vineyard. For years, prize winning wines were produced on these grounds. After years of abandonment, the grounds are kept again, and though we do not produce wines, our orchard gives us lots of fruit almost all year around, and something is always in bloom. From Casa do Valle, it is only 400 meters to the Old Town Center, away from the hassle of the bustling tourist crowds. The monuments and museums, restaurants and shopping as well as the train line to Lisbon are within a walking distance. There are 11 double rooms: 7 standard rooms on the upper part of the property in three levels and the 4 superior rooms in the lower end of the property. Our fully equipped Guest Kitchen and Bar-b-Que area makes longer stays easy. 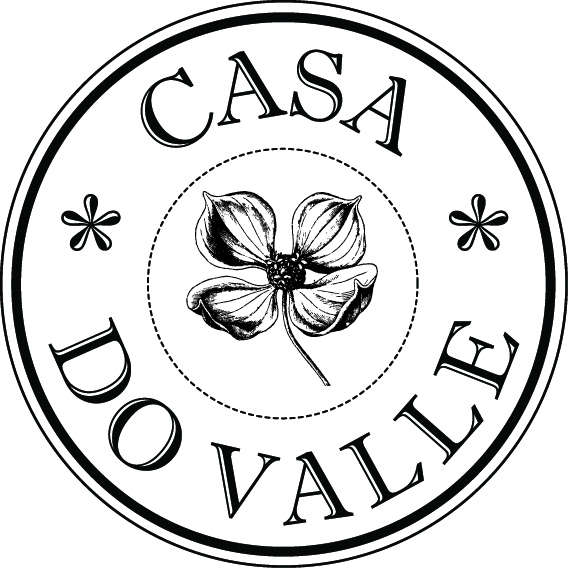 Virpi is the Finnish owner/manager of Casa do Valle. In addition to being involved in the day to day activities of the B&B, she loves travelling, walking and cycling. When walking in the mountain, she is most always accompanied by her dogs. Joana holds down the fort in the office. A native of Sintra, she is great with our guests and is an avid hiker, also a hiking guide. Her other interests are travelling and yoga. We also have Amélia, Paula, Mica, Fátima, Catarina, Ana Paula and Zé at your service, as well as our masseuses Joana and Inês! Pandora and Barão are our two friendly resident Great Danes. Our team is ready to make you feel at home! Take a look at what our guests say about Casa do Valle, what some of our suggestions are, and what it looks like here from a bird's eye view.